Ripon College is an Anglican theological college with original buildings designed by G.E Street in 1853. The college buildings are imposing, riding along the Cuddesdon ridge and visible for quite a distance over the rolling landscape. 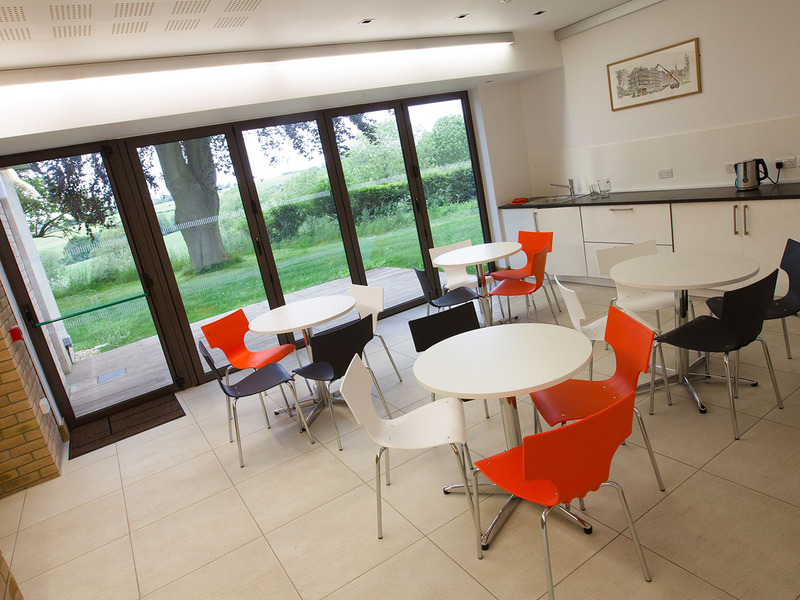 Harriet Monsell House is a striking contemporary new building providing new convent accommodation for the Sisters of Begbroke, teaching facilities, a lecture theatre and additional accommodation for its growing number of students. 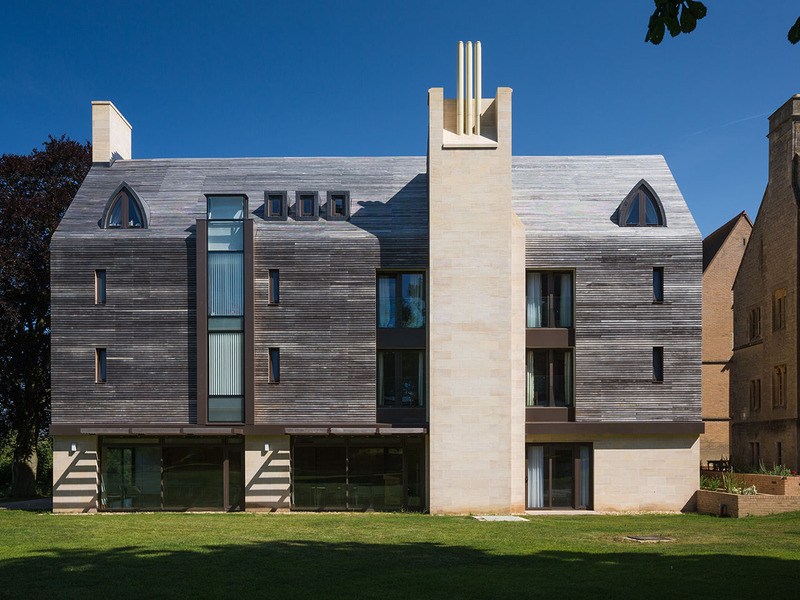 The building, set over four floors, is a stunning contemporary take on the original buildings, characterised by large steeply pitched roofs, punctuated by vertical chimney and gable elements. Construction is entirely modern in concrete and glass, with stone cladding to match the existing and striking rainscreen cladding running seamlessly up over the walls, eaves and roofs in sustainable frake timber, which will weather to the honey grey tone of the existing stone. The building was completed in September 2012 in time for the 2012/13 term.